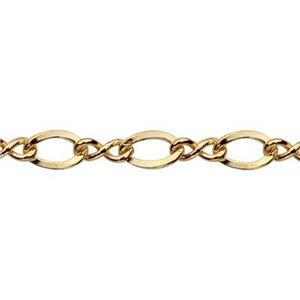 Long & short jewelry chains have repeating patterns of different sized links. 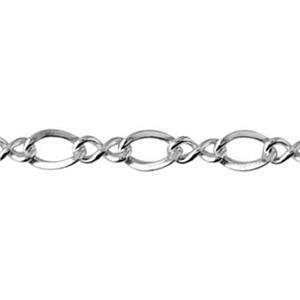 Figaro chains are a common long & short style with three small links interspersed with longer oval links. 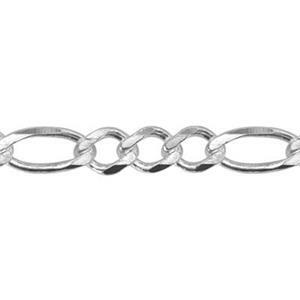 Or, figure-8 chains have twisted infinity shaped links alternating with round links. See the many configurations available for your jewelry collection. Finish with silver or gold filled lobster claws.